(Jan. 8, 2019) -- All UTSA faculty, staff and students are invited to attend open forums featuring finalist candidates for the Vice Provost for Academic Innovation. Reporting to the provost and vice president for academic affairs, the vice provost oversees the offices of Learning Technologies, Online Learning, Online Programs, Teaching and Learning Services, and Video Production. During the forums, candidates will give an overview of their qualifications and discuss their vision, followed by a question and answer session. All forums will be held on the UTSA Main Campus with video conference link to the Downtown Campus. Information on the individual candidates will be available online 24 hours prior to their scheduled forum. 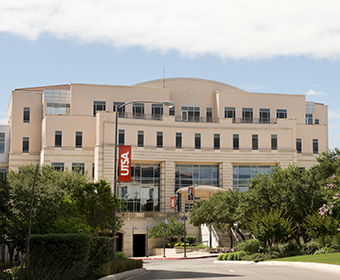 UTSA authentication is required to view all candidate information. Also posted will be feedback surveys for each candidate, which will close two days after the campus forum. The first candidate will be on campus this Thursday, Jan. 10; details on subsequent candidate forums will be updated as they are available. Thursday, Jan. 10, 3:30 – 4:30 p.m.
Wednesday, Jan. 23, 11 a.m. - 12 p.m.
Tuesday, Jan. 29, 10:30 a.m. - 11:30 a.m.
Tuesday, Feb. 5, 10:30 a.m. - 11:30 a.m.
Tuesday, Feb. 12, 10:30 a.m. - 11:30 a.m.